Barrier Reef Pools is excited to announce that it was awarded gold in the Display Pool or Centre category at the 2017 Swimming Pool and Spa Association (SPASA) of Western Australia awards ceremony. 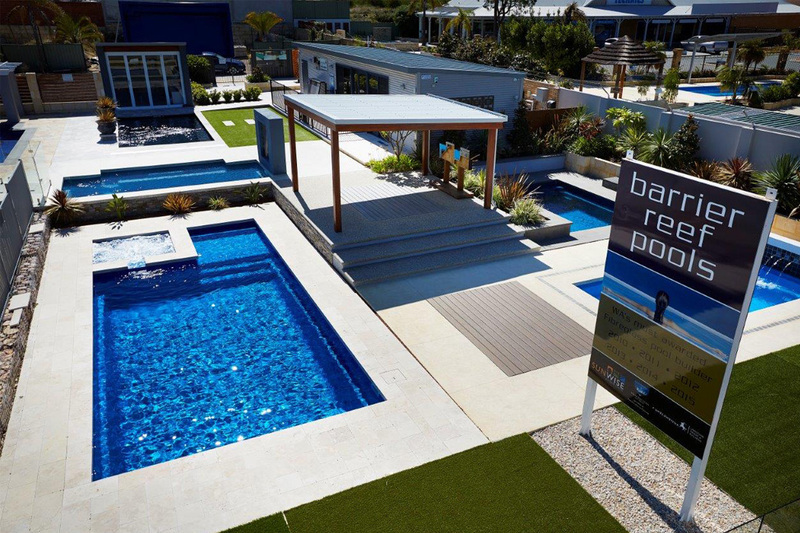 Designed, project-managed and constructed in-house by Steve Patterson, the display pool – located at the company’s Joondalup centre – showcases state-of-the-art building techniques and demonstrates the vast possibilities for fibreglass shells. Extensive 3D plans, wiring documentation and earthworks were organised in advance to ensure the pool was completed in a strict 12-week timeline. To complete the space, a new purpose-built office was constructed off-site and craned into place. Located at 24 Ascari Lane, the new display centre is well worth a visit!